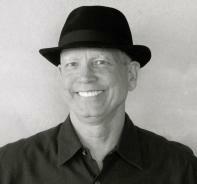 Jon Pearson is a writer, speaker, artist, and creative thinking consultant. He was nominated for a 2014 Pushcart Prize and a 2014 Million Writers Award and his work has appeared in Barely South Review, Barnstorm, Carve, The Citron Review, Crack the Spine, Critical Pass Review, Cultural Weekly, Existere, Faultline, Fiction Fix, Lake Effect, Penmen Review, Psychoanalytic Perspectives, Reed Magazine, Shark Reef, Sou’wester, Tower Journal, West Wind Review, and Wild Violet. Jon writes now for the same reason he played with his food as a kid: to make the world a better place. He was six years old when it hit him. He was playing in the dirt behind the barn, the great big barn that smelled like a very old wolf about to die and lift right up to heaven. And it stood there breathing, the barn, behind him, out of sight, though he could feel it, like skin, the barn that was once red but now was old and pink. And how funny “old” felt. His grandmother was old. Everything got old. He would get old. The dirt was old. Under the dirt floor of the barn there were old Indian bones, he imagined. He could feel them dancing in the world below. They moved in a circle under the shiny, hard-packed earth of the barn floor, with the rotty barn all around like a giant tent or a giant dress keeping everything cool and dark inside. And it smelled like pee, the barn, with the yellowed newspapers in the loft and the long boards going up and up in the back with the thin white screams of sunlight peeking through from the outside. The barn was an animal. Nobody said that but then most of the things he knew secretly, nobody said. Later he might call what happened next the “Presence of God,” but he was only six then. And he liked the number six. It was a nice curve with a circle at the bottom, and somehow gray, as if its parents were circus elephants. And Jethro was there too, his imaginary friend, so, afterward, he knew it was all true, and he wasn’t alone when it happened. He was playing with his blue toy truck, sitting on his heels with his legs bent under him and wondering what it would be like to be all grown up and made maybe of cheese, with a cheese face and a cheese heart and cheese lungs and cheese arms and legs, everything cheese, and to think cheese thoughts, which were slow and soft and warm and could wrap all around the world. And then he wondered if he was big enough, if he could put the whole barn in his mouth, like he once put Troy, his pet turtle, in his mouth, Troy who looked older than the earth. And then, right then, making roads in the dirt, it happened, and there isn’t any way to describe it except that the floor of him fell open, and he felt round and big like the sun and then bigger like the sky. And the apricot trees all stood there in rows, watching, like cowboys with their elbows out ready to draw their guns. Jethro, his imaginary friend who took the blame for everything, was watching too, with his mouth open. The floor or bottom of things had fallen away and he was floating and made of air, of sky, of day, not cheese, not anything, just day, SATURDAY, he felt like a great, big Saturday that went on and on forever, and he knew he would secretly be young and bigger than everything, always. And Jethro knew it, and the barn knew it, and the bones knew it. Everything was different but nothing had changed. Nothing. He was still making little-boy noises, building roads, flying his truck through the air, but now he wasn’t a little boy playing on a Saturday, he was a Saturday pretending to be a little boy.